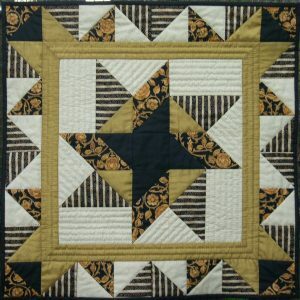 Whether you have started patchwork & quilting recently, or have been making projects for many years, sometimes things don’t turn out how you had hoped. 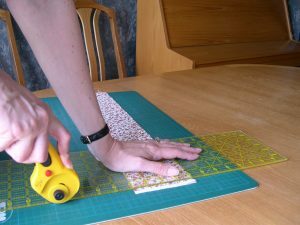 Start by making sure that you can use a rotary cutter to cut strips and squares accurately – this guidance is available as a free download. 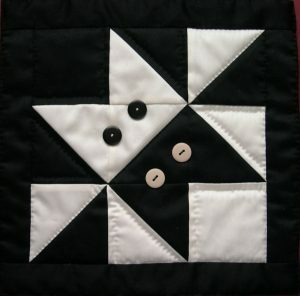 How can you pick fabrics that will work well together? The Colour & Contrast page will show you the key features to look for (or avoid!) and there is a free download in my online Shop too. 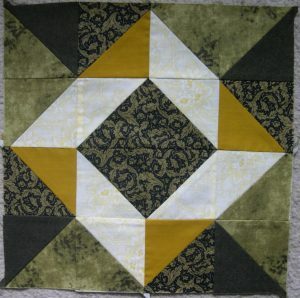 Selecting fabrics for Scrap Quilts is covered too. 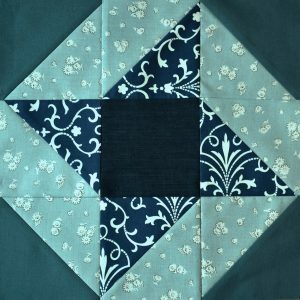 Have a look at the Patchwork (machine-stitched) pages where you will find videos, guidance and tips to improve your basic technique in many other areas. Struggling to achieve perfect points is a common frustration. 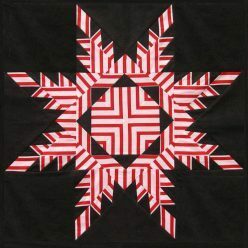 Learn how a little pre-planning and care can lead to results that you will be delighted with, such as this Catherine Wheel hanging – the pattern for this is available from my online Shop. 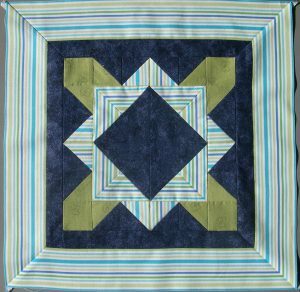 Stripes are a particular speciality of mine – you can now discover how to use them in a perfectly Mitred Corner, but more techniques will be coming soon.